With six years left to fulfill the goals of the International Decade for People of African Descent 2015-2024, hundreds of African descendants from over 35 countries including Canada, United States, Jamaica, Haiti, and Brazil, joined forces with the Vice President and Minister of Foreign Affairs of the Republic of Guyana, the Honorable Dr. Carl Greenidge, and the organizers of the International Decade for People of African Descent –Summit IDPAD-S 2018. The objective of the meeting was to eradicate the challenges faced by African descendants in Guyana. Chaired by Dr. Melissa Varswyk, the IDPAD Summit organizers include Dr. Dawn Stewart, Mr. C. Maxxie Fox, Ms. Eve Blackman and Dr. Norman Ng-a-Qui in Georgetown, Guyana from March 8th to 11th, 2018, is among a series of international meeting taking place globally sponsored by members of civil society, the Office of the High Commissioner for Human Rights and other United Nations agencies. The International Decade for People of African Descent [IDPAD] comes out of a long set of complex set events that began at the World Conference Against Racism,Xenophobia and Other Forms of Intolerance in South Africa in 2001. Its outcome document, the Durban Declaration & Programme of Action Plan – a revised social contract — is it a critically important to African descendants as it declare the Transatlantic Slave Trade, a crime against humanity. From a legal perspective, there are no statutes of limitations on “crimes against humanity,” consequently this statement made within the context of international law leaves the pursuit of reparations open to the global African community. While various Black communities are pursuing reparations, for instance the Caribbean Community [CARICOM] has a 10-point plan for reparations for their 15 member states, the Decade has as its theme, “Recognition, Justice, Develop.” The UN General Assembly has issued a 12 page Resolution for the Implementation of the Program of Activities for the ten-year period of 2015-2024 that serves as a road map for recognizing the personhood and contributions of African descendants; facilitating access to justice; and encouraging development, economic, educational and otherwise for African descendants. The Resolution was ratified by all United Nations member states including the United States to make recommendations for altering the harsh realities confronting the majority of Black folk. 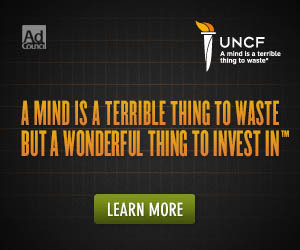 These include disparities found in the housing, education, technology, and health sectors. 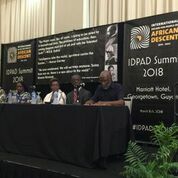 At the IDPAD-S 2018 keynote presentations and roundtables covering areas ranging from spirituality to business entrepreneurship to geopolitics to computer technologies, the various professionals, experts and academics in attendance addressed the Summits concerns, “Where we are, Where we ought to be, How we get there.” Among the dozens of prominent speakers were Professor Verene Shepard of the University of the West Indies and Member of the UN Committee for the Elimination of All Forms of Racial Discrimination [CERD]; Dr. Julius Garvey, son of Marcus Garvey and thoracic surgeon; and Harvard University Professor of African Religious Traditions, Dr. Jacob Olupona. With a view towards establishing a network of proactive African descendant leaders and policymakers who will be working together to implement creative solutions to solve the issues facing members of the Diaspora the sessions began at 8:30 AM and ran well past 5:00 PM daily. Some of the determinations made by the experts’ roundtables include reclaiming African and indigenous religious practices, rethinking and prioritizing health care and models for health care. The creation of an intergenerational curriculum for youth and elders in technology; exploring financial and sustainable strategies with new technologies; and creating a financial literacy program and access to capital for African descendants. Introducing African history and culture from antiquity to present day in primary schools through university was proposed in addition to retraining non-African descendant teachers to be culturally sensitive; and placing equal emphasis on informal, as well as, formal education and instruction as a means of rebuilding community. …There is a singular contradiction in the collective imagination of African descendants globally. We can talk about, “Where We Are” and “Where We Ought to Be,” but we can’t make a viable plan of action when we are ashamed of being Africans. When you can’t, wont, are too scared, too embarrassed to recognize indigenous African spiritual knowledges, ethics and mores. There will be no getting there… there will be no there, there. “There” sisters and brother is us, and “their” is, us. So let’s think about us… Sadly one of the deepest wounds of our trauma, is Afrophobia. What is it? Afrophobia is the irrational fear of African and African descendant peoples, cultures, sensibilities that results in violence, psychosocial and corporal. We have internalized Afrophobia. We ought to excise that ugliness within us. We are too beautiful a people to drown what is God-given in us. Don’t get me wrong, I am not prophesizing, evangelical zing, or preaching — no, that’s not how we do things in Vodou, or Lukumi, Sango Baptist, Bwiti, Winti, Obeah, Dough, Kumfa, Palo Mayombe, Candomble, Umbanda, Santeria, Ifa or any of the indigenous African based religions, including other African-based theologies of liberation of the Rastafari, and the original African Methodist Church. You see, I don’t have to try to convert anyone… Because you are here (in this room, at this Summit) because somewhere in your heart, in your head, your gut you subscribe to the secular notarization of these constructs. Many of you are Pan-Africanist… remember that? The love of all people of African descent and our heritage… In all of our variations: our rich melanin diversity, with the numerous curls and twists of our eyes, our faces, lips, hair and hips? Pan-Africanism is an idea that we must revisit, and upgrade. Remembering it was founded right here in this region of the greater Caribbean Basin and South Atlantic Ocean. Pan Africanism’s intention was to operationalize the intellectual, spiritual, military, linguist, and the psychosocial aspects of our cultural legacies. Pan-Africanism as a political and moral imperative steeped in notions of self-love, self-value, self-appreciation, self-governance, self-autonomy and self-sufficiency. 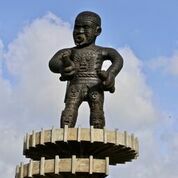 Pan-Africanism actually has its roots in Haitian Vodou and the Haitian Revolution… it was applied most effectively with a grandeur, and largess of vision, here in Guyana when emancipated Africans worked together to purchase lands that were formerly plantations, establishing the biggest collective ownership and bargaining endeavor of that era. Pan Africanism informs the vision of the Durban Declaration and Programme of Action Plan and the work of the International Decade, its point was to provide successive generations of critical thinkers and actors with greater agency. It intended to provide us with the tools to develop and emerge into the cannon of the new African person of the Americas, the bigger Diaspora, again remembering historically from Antiquity — we were always a global even if imperial, non-colonizing presence. That is where we ought to be. Pan Africanism is over 150 years old, the principle of the Haitian Revolution (1791) over 225th years old – and whether we are talking about Kofi’s battle’s of 1763, or the 2001 massacre of African descendants in Guyana at the hands of their own countrymen, everything that has happened before and since, is about a sustained conflict, we have has been party to. Make no mistake we are still at war, now an irregular war where tragedies are endured and every victory we make must be jealously guarded. 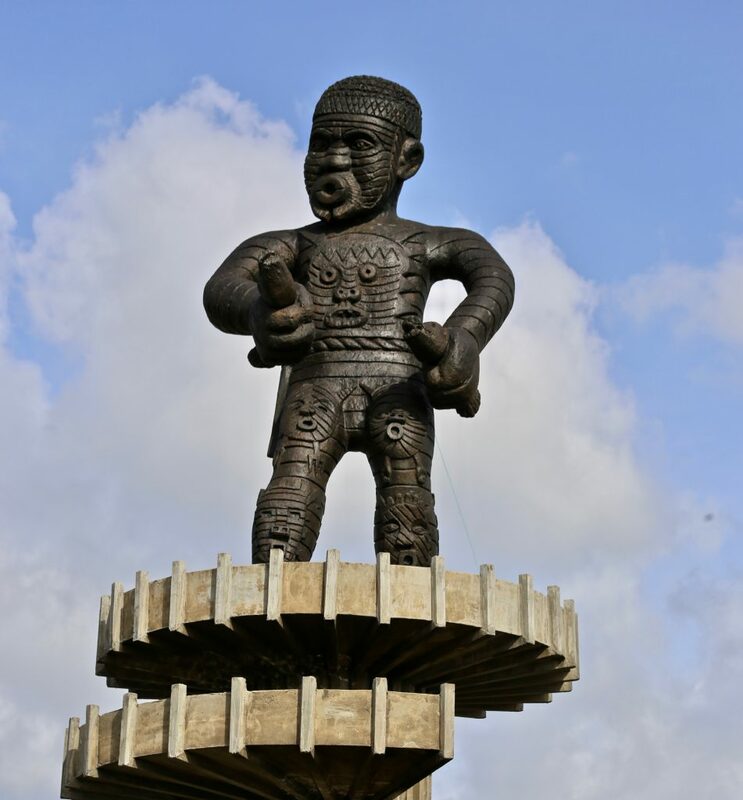 Of one-sided, ongoing hostilities, with former enslavers armed with guns, well-funded militaries, laws –notably constitutions, church dogmas, educational institutions and other entities designed to denigrate and undermine the African person and what we value. As an 11th generation Dahomean, and a descendant of a Regent of Oyo State; Great-Great Grandparents who fought in the Haitian Revolution, I know war when I smell it – it’s in my blood. The Maafa was misnamed as a Slave Trade – it was war, the first true world war, and somewhere we lost and became its prisoners-of-war. Power concedes to nothing but power, and if we are not going to take up arms, we better take something else: our spaces, our natural resources, our human resources, our cultures and sense of self, and we better protect them. I encourage you to examine what we are doing from a military operations point of view and you shall see things differently. … And YES, I am a warrior priest at heart. First, to “recognize” that we are, moun. We are a people with a clear sense of self, moving in the world, with the full knowledge of our personal and collective histories. Remember we are descendants of the first mothers, fathers, healers, philosophers, scribes, artists and warriors. We are a people of a proud past; a people with a clear destiny, who should be determined to become victorious in our battles. That we embark on the task of knowing thy self, and not simply our own personal and social histories but that of our brothers and sisters in the Diaspora. That we do so non-competitively, with reserved judgment, and clarity, as we walk on the path of the Divine. Second, as we recommit our actions towards the “development” of our individual and respective, iwo pele, that is, we continue (or start) to nurture good character by demonstrating the ethics, mores, values and sensibilities of the compassionate and thoughtful African peoples whom we are. If we don’t know what that is than we ought to read a few books, go to a few museums, speak with our neighbors, work with our elders, and enlist those forces seen and unseen to [re]define our selves. Finally, in our search for “justice”, find the strength to act in the spirit of ubuntu. Understanding that our lives are inextricably linked to one another. That we are who we are, that we are what we are, because of the goodness and the selflessness of our sisters and our brethren of the past; those who stand with us now, and the percolating energies of those yet unborn. Working with spiritual communities to have our sacraments (sacred medicines) legalized and registered so that we might continue to heal ourselves and benefit from our own scientific knowledge before “Big Pharma” — the pharmaceutical industrial complex — comes in to appropriate what is ours with patents, enriching themselves and keeping us in dis-ease… disease. Because we have a most complex relationship with the Ocean through of various slave trades, AfroAtlantic, Trans-Saharan and Oceanic, in 2016 the ATI launch the Sacred Water of the AfroAtlantic Treaty as part of the Voluntary Commitment to the United Nations SDG’s #14 regarding the health of our oceans and other blue carbon life. Working in partnership with sacred communities, environmentalist and governments, we will map the sacred water we use as sites of communing with nature and making offering – to clean of micro-plastics, industrial and organic pollutants to protect the rights of nature. We intend to find a voice for our communities on the world stage perhaps initially as part of the Permanent Forum for People of African Descendant but ultimately at the United Nations, the Organizations of American States, the African Union just as the Holy See represents Christians. Governments like Israel, and the Islamic Republics give voice to the Jewish and Muslim communities respectively. There are anywhere from 30 million to as many as 150 million practitioners of African based traditions globally. I include those who call themselves Christian, Muslim, Buddhist during the day but at night or when they are in serious trouble come to people like me. With so many practitioners of indigenous African traditions, why we were without a voice? We ought to have one. Ms. Dòwòti Désir is a faith leader, human rights activists and writer based in the Mid-Hudson Valley. To learn more about the, AfroAtlantic Theologies & Treaties Institute [ATI] see, www.ATI-global.org. Very happy to have found this.